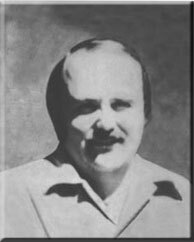 Born December 7, 1943, Robert B. Hutchings served as a Deputy Sheriff for Sacramento County, California. He later moved to Utah and joined the Utah Department of Public Safety on January 2, 1974. He served as an Agent with the Narcotics and Liquor Enforcement Division. On July 20, 1976, Agent Hutchings was assisting the West Jordan Police Department in a drug investigation. Following a drug buy of cocaine, and having obtained a warrant, officers attempted to arrest the suspect. The suspect produced a shotgun and shot Agent Hutchings in the neck. Agent Hutchings returned four rounds of fire from a .380 semi-auto pistol and West Jordan Chief Lance Foster fired 10 rounds from a 9mm submachine gun, killing the suspect. Agent Hutchings was survived by his pregnant wife, Janet, and six children.